The City of Cedar Hills is an approved Passport Application Acceptance Facility. The following services are offered: Adult First-Time Applicants, Minor Applicants, photos, and assistance with renewals. Monday–Thursday, 9:00 a.m. to 4:00 p.m. The City Office and Passport Services will be closed Wednesday, April 10 from 11am to 1pm for a staff training meeting. Passport services are not available on holidays when the city office is closed. The office will be closed Monday, May 27 for Memorial Day. Confirm office holiday closures on the City Calendar or call the office at 801-785-9668, ext. 100. For best service and to save time, complete and download the appropriate passport application online at travel.state.gov, and bring with it the required documents (see below) when you come to the Cedar Hills Passport Services Facility. If you print out the application, make sure to fill it out in black ink. Appointments are suggested ONLY for groups of five or more; otherwise, walk-ins are encouraged. To schedule an appointment, call 801-785-9668, ext. 100. Need a passport in a hurry? See instructions on How to Get Your Passport in a Hurry. The city takes passport photos for $10 per person. 1. A personal check, cashier’s check, or money order made payable to U.S. Department of State for the application fee. This check will be mailed by us with your application to the Department of State. One check per application required. 2. Cash, personal check, or credit or debit card for execution fees and photos, if applicable, payable to the City of Cedar Hills. Passport Books are used for international travel by air, land, and sea. Passport Cards are valid when entering the U.S. by land and sea from Mexico, Canada, the Caribbean, and Bermuda at land border crossings or sea ports-of-entry. Passport Cards are not valid for international air travel. Applications are typically processed by the State Department in four to six weeks. Expedited applications (for an additional fee) take two to three weeks to be processed. You may check the status of your passport application on the U.S. Department of State website. Please allow 5-7 business days for your passport information to appear online. *All first-time applicants must apply in person. Renew by Mail: If you have had a passport within the last 15 years and were at least 16 years of age or older at the time of issuance, you may renew by mail. To learn more about renewing a passport, please visit travel.state.gov and type “renew by mail” in the search box. *All minor applicants must apply in person. If a minor child under the age of 16 is applying, both parents must be present, unless one parent has filled out a Statement of Consent (form 3053). Overnight delivery of the application from Cedar Hills to the State Department. Application needs to be completed by 3:00 p.m.
To request expedited completion of the passport application at the State Department, pay $60 for each person, in addition to the required fees above. To request overnight delivery of a passport book from the State Department, pay $16.48 for each application, in addition to the required fees. Overnight delivery is not available for passport cards, which are delivered via First Class mail only. Fee is per person. Payable to City of Cedar Hills. 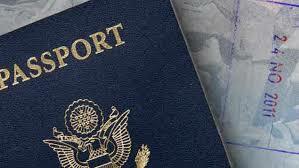 The Cedar Hills passport services facility will assist with the paper work for adult renewals at no charge. However, postage rates apply, if shipped through the Cedar Hills facility. If you were issued a passport within the last 15 years and were at least 16 years of age or older at the time of issuance, you may renew by mail. To learn more about renewing a passport, please visit travel.state.gov and type “renew by mail” in the search box. To fill out a passport application form online, report a lost or stolen passport, or check the status of a recently submitted passport application, go to travel.state.gov.